The 12 kilowatt BriteArc lamp represents the most powerful discharge lamp in widespread use. It was developmed for the film lighting business. Packing a phenomenal 1.3 million lumens, this was the first lamp capable of replacing the famous "Brute" carbon arc lamp which was previously the preferred choice for the lighting of film sets. High power carbon arcs were once the mainstay of the film lighting business, these being the only light sources capable of producing enough light, of high colour temperature, for the correct exposure of daylight balanced photographic films. One by one the smaller arcs were displaced by more efficient and considerably more reliable MEI and HMI style metal halide lamps. In the mid 1980s this 12kW, and subsequently a larger 18kW lamp were put on the market, and marked the end of the carbon arc era. 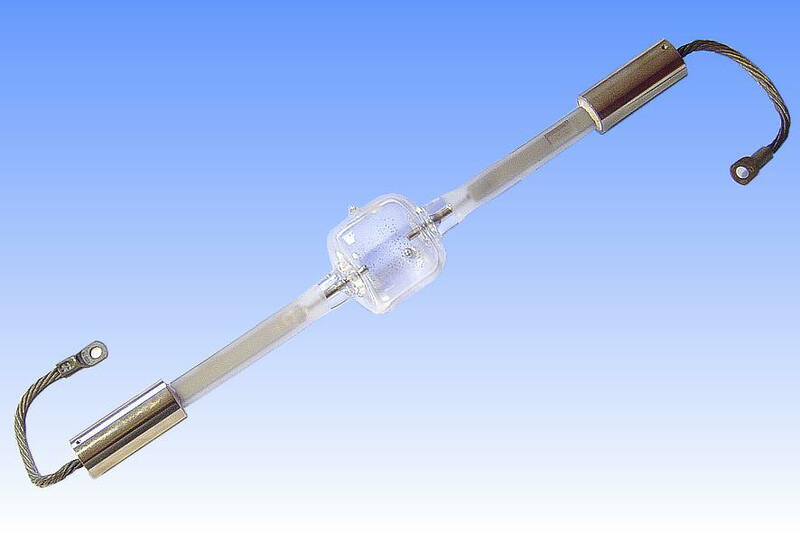 This lamp is of the low voltage design, intended for operation at normal mains voltages with an ordinary choke-type magnetic ballast. However today the lamps are more commonly operated on electronic ballasts, which although quite massive, are very considerably more compact than the huge magnetic ballasts that were previously required. 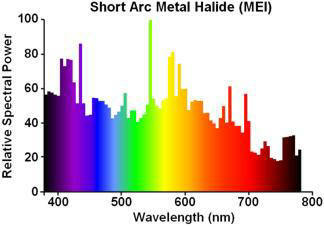 The arc tube filling is of Dysprosium iodide and mercury, and in view of the extremely high loading this delivers an exceptionally high colour rendering index. 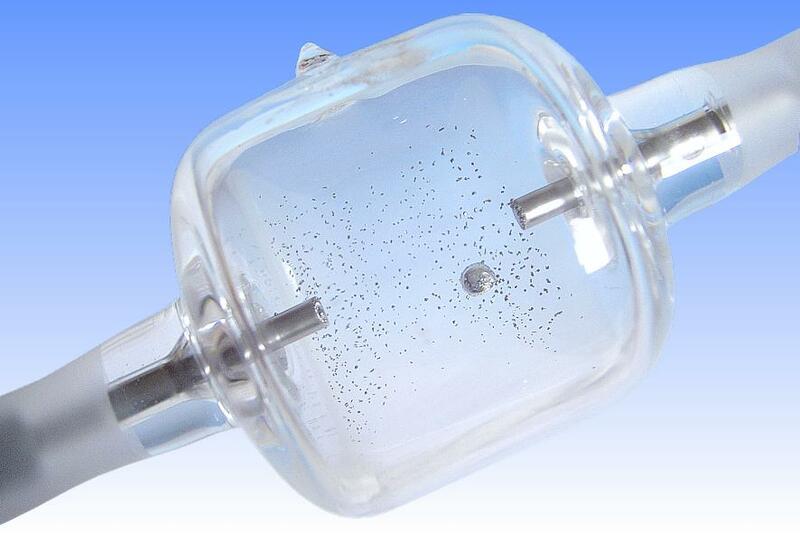 The arc gap is a mere 32mm long while the heavy-walled quartz arc tube measures 65mm in diameter. Long end seals are required to keep the seal temperature as low as possible, the seals being of the sandblasted type to break up the light-pipe effect. References: 1) Sylvania UK Photo-Optic Catalogue, 2005. 2) Sylvania BriteArc Brochure, 2005.